What happens when Vice and fashion designer BFF Bang Pineda do a collection? Well, it's as fantastic as we think it will be. One big factor into all of this is that Bang is Vice's longtime stylist, so he's someone who really has a very similar sense of aesthetic as Vice. 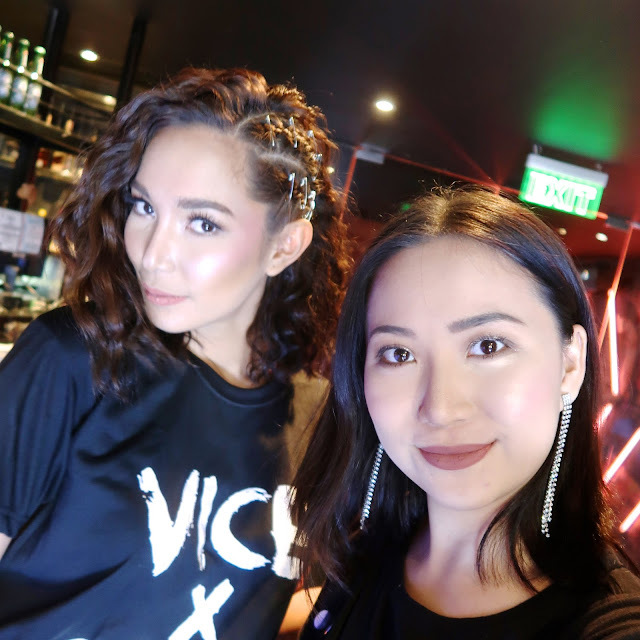 Out of all the fabulous friends Vice has, it takes someone like Bang, who has the same grungy, spunky style as Vice, to pull off a cohesive collaboration. They quickly get down to business and talk about this collaboration. 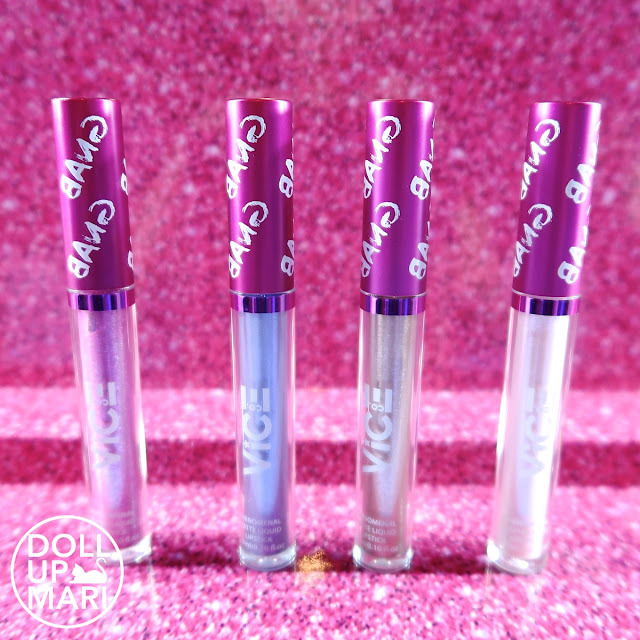 As y'all know by now, this is a liquid lipstick collection, but this time, each matte liquid lipstick comes with a glitter lip topper. 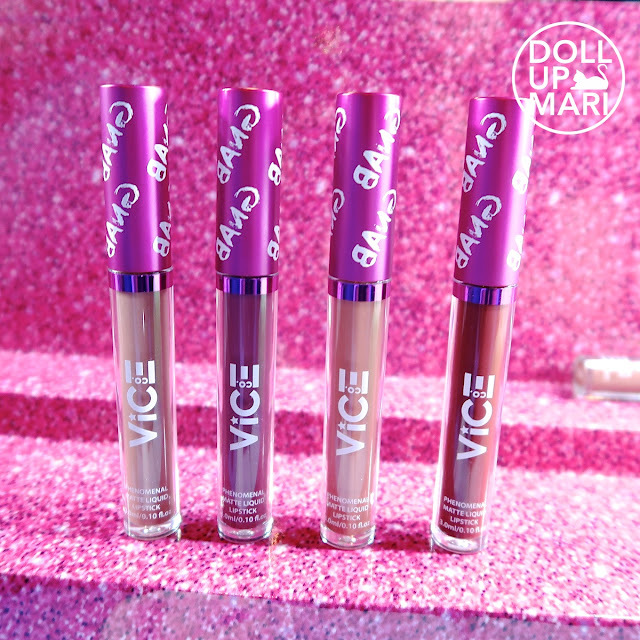 I was shocked when I realized that Vice Cosmetics is barely a year old! It only sank in when Vice was calculating the time they started the brand. 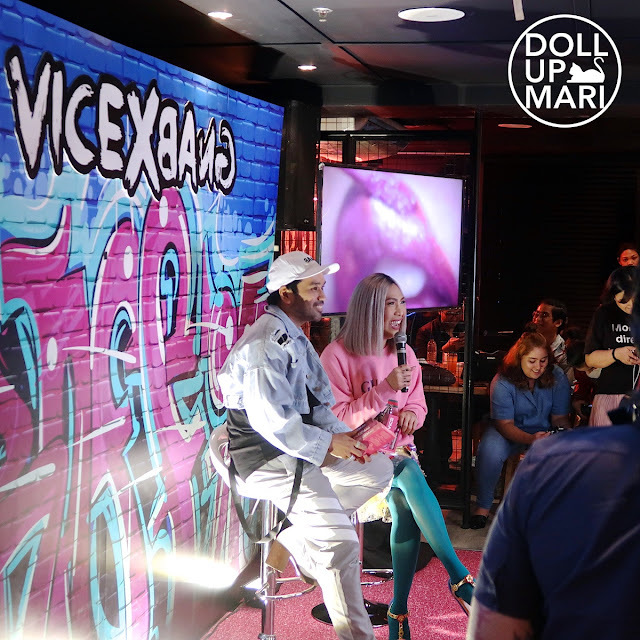 With all their highly raved releases, it feels like they've been around for much longer.Vice shared that they really just wanted to focus on lip products when they started, and wanted the market to become familiar and comfortable with the brand and its lip releases. Now that the market is already aware, that's when they intend to venture into other products. 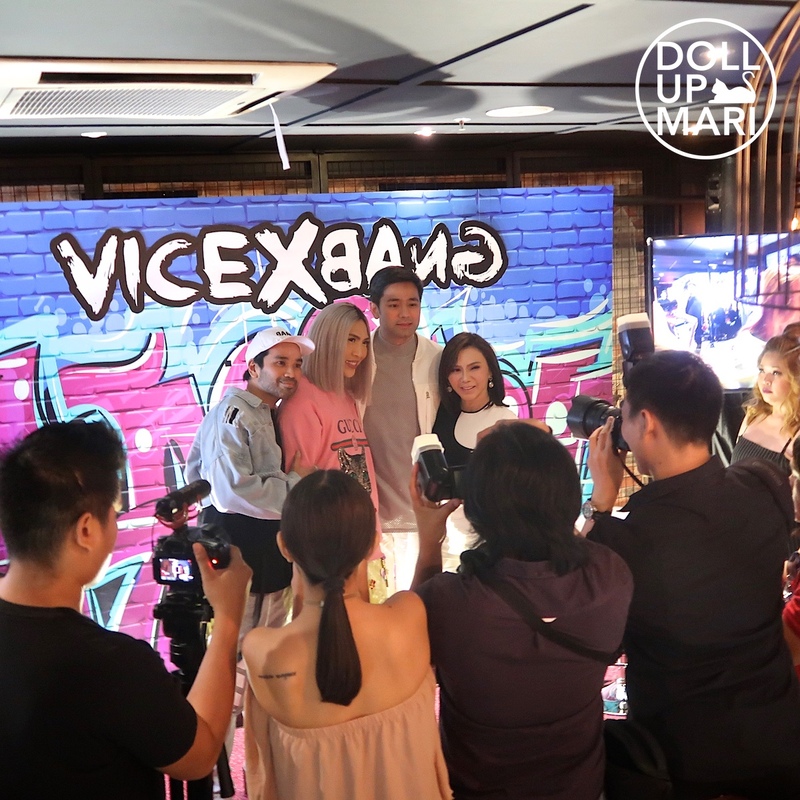 Vice is known for never being seen without makeup, so there is a lot of items that he can definitely make for his brand. They talked about price points, too. This collaboration has 4 boxed sets, with each box having one matte liquid lipstick and one glitter topper. And each box just costs Php395! Vice explained that he wanted to have a brand that was affordable for everyone, but had products of good quality that even the rich would make the conscious decision to choose his products. 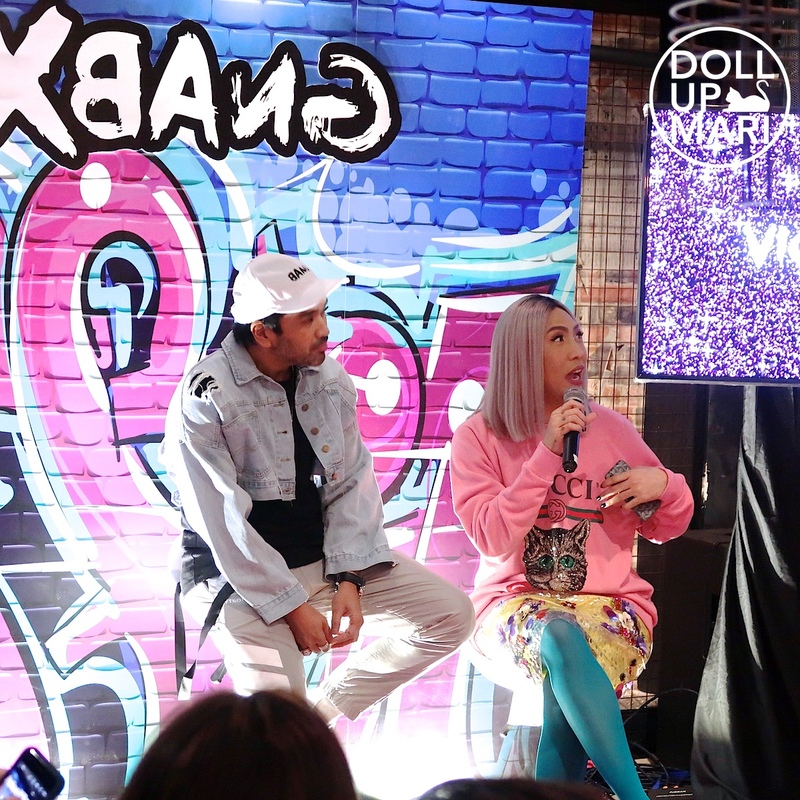 Vice also shared how they wanted to give back to the community through the brand. He has been approached by social workers working on Marawi to have beauty collaborations with charities. The social workers explained that while lipsticks might come off as a non-essential item to some, it actually carries a significant role in such situations. Psychologically, putting on lipstick is the wearer's subconscious way of telling one's self that everything will be better, or that they're on their way to recovery. Dra. Vicki Belo who was in the audience was asked about this, and chimed in that it's true. There apparently is a medical phenomena that when someone ill is about to get better, the first thing they will ask for is lipstick. Though it's such a tiny item, it has such a large impact on people's psyche. Speaking of Dra. Vicki, here they are! Dr. Hayden accompanied her. Unfortunately, as this is a bar, and it was nighttime, Scarlet wasn't with them. Some bloggers asked them where Scarlet was and there were giggles here and there. After, they had a makeup demo on using the new items. 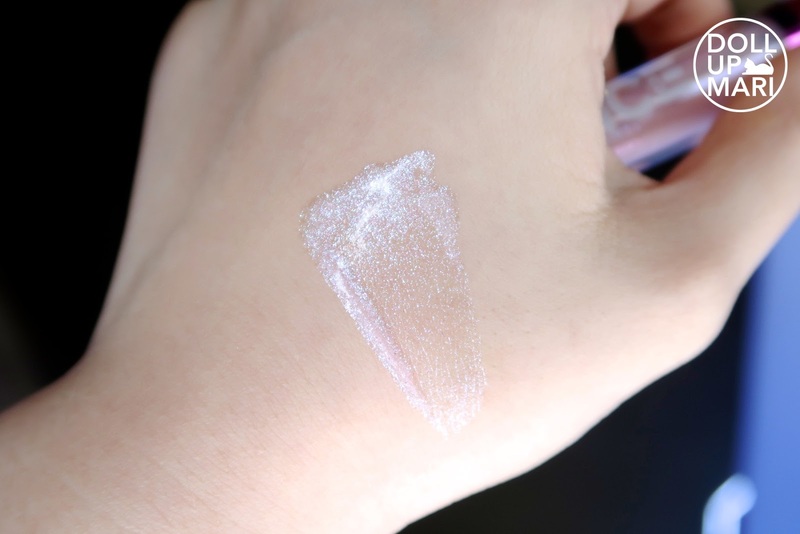 The glitter toppers are very versatile as they can be used as highlighter, eyeshadow topper, and body glitter (although not the whole body coz it might get used up too soon hehehe). And yaaaay, let's get to the lippies!!! These are all the matte liquid lipsticks side by side. These are Rrrahmpa, Fashown, Model, and Saveeeh. And here are the glitter toppers!!! These are Rrrahmpa, Saveeeh, Fashown, and Mowdel toppers. Rrrahmpa is my favorite because it looks like unicorn tears!!! It's just sooooo pretty. And yaaaay this is quite a star studded event so I'd like to share quite a lot of selfies that I had! First is with Miss Grand International 2016 1st RU Nicole Cordoves!!! I love her so much because for me, she is the trailblazer of what a modern beauty queen should be-- elegant, sophisticated, and very eloquent. I find her to be such a good example to little girls these days, and I feel that her BB. 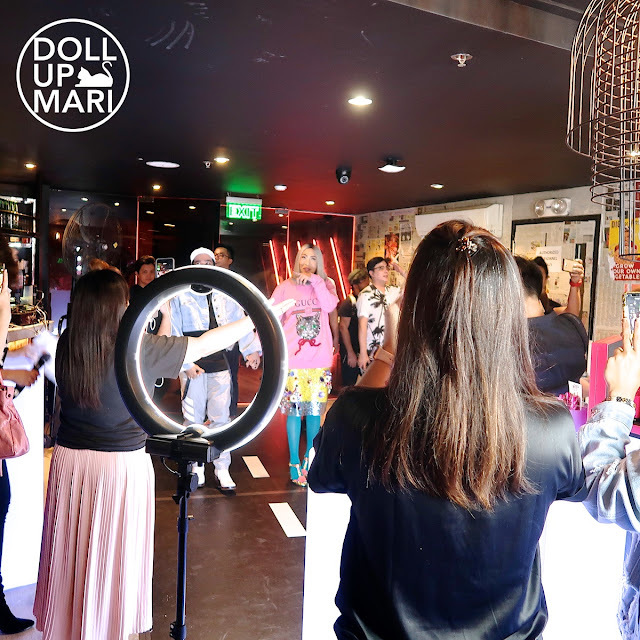 Pilipinas journey has encouraged many more intellectuals and professionals to join the pageant and take a shot at bringing glory for the country. The lighting is bad here, but I'm so happy to have a photo with Vice!!! And a better lit photo with Bang! 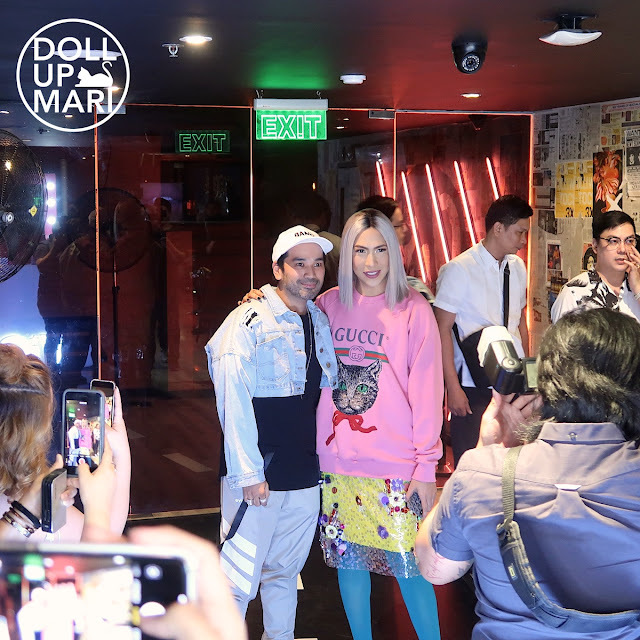 It was so nice I got to have a photo with him here because he was so busy after his fashion show (this was June 24 hehe) that I wasn't able to have a photo taken with him at that time. 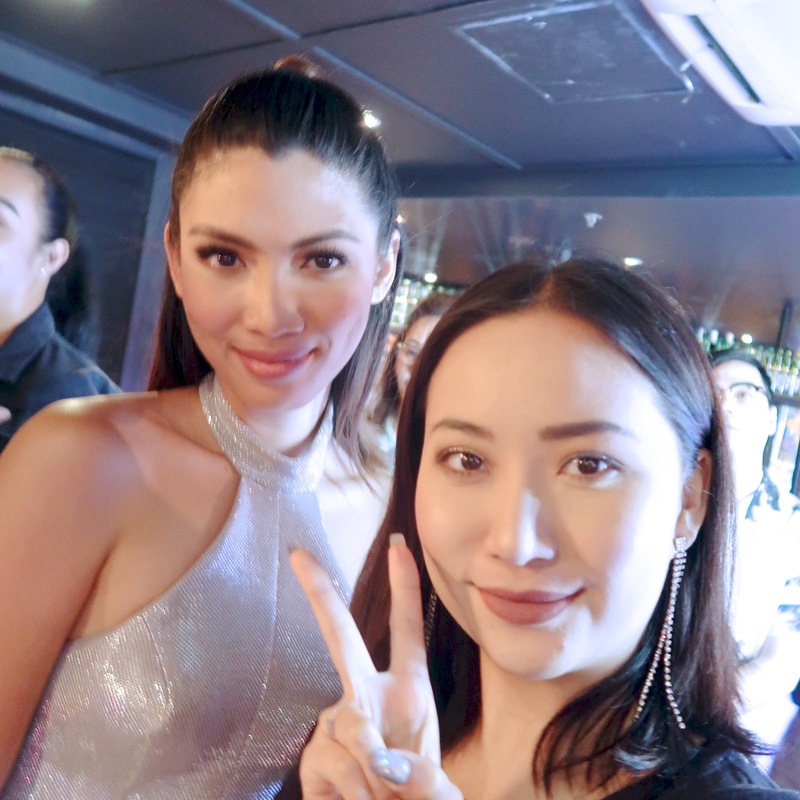 The pageant fan in me is super kilig to have a photo with Miss International 2013 Bea Rose Santiago!!! She was sooo prettyyyyyy. I'm so sorry I didn't post a photo of her in this post while hosting because I wasn't able to take a photo where her expression wasn't weird. 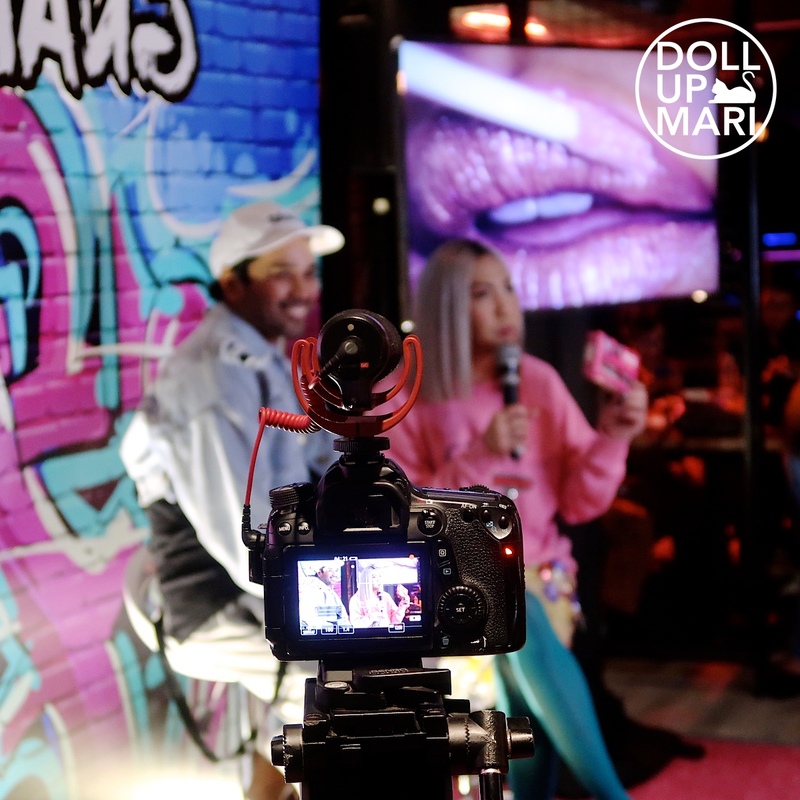 I'll surely have a lot of footage of her in the vlogs!!! Selfie with miss ganda abs Kaycee, and Kenny. A photo with Joyce and Kimberly's friend (sorry I wasn't able to note her name! ), Joyce, and Kim. And with Dra. Vicki and Dr. Hayden!! !